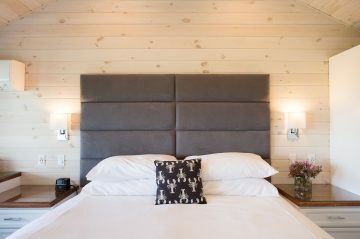 The Windward Guest House sits at the western edge of our front lawn, just steps away from the Main House. 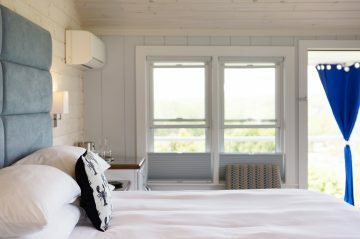 It captures the spirit of a Maine summer cottage with plenty of modern updates. 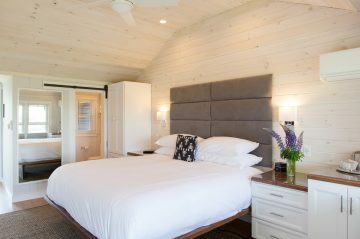 We completely remodeled the Windward rooms while preserving their coastal feel with white-washed wood, light colors, sliding barn doors, and built-in furniture. 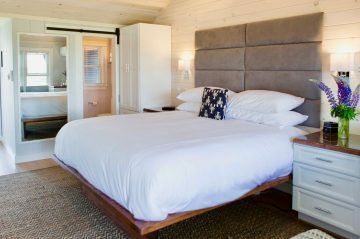 All of them have private en-suite bathrooms with combination tubs and showers, small refrigerators, and flat-screen TVs. Rooms 14 through 17 on the second floor also feature vaulted ceilings. 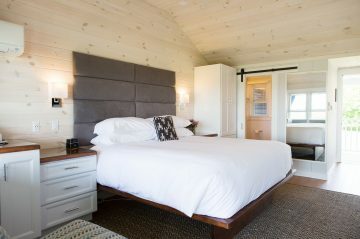 You can access Rooms 9 through 17 via covered porches that overlook the lawn and eastern side of the harbor. 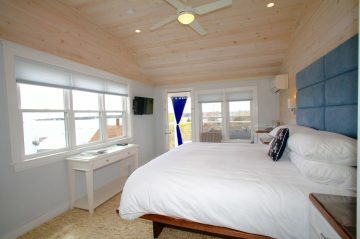 They also provide access to a covered porch facing the harbor, western coves, and sunset. The built-in banquettes and cable railings make it a fantastic place to relax and take in the views. 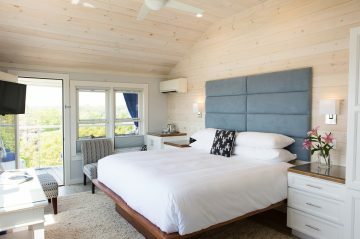 The end rooms feature three extra windows, giving Rooms 9 and 14 magnificent views of the harbor and Rooms 12 and 17 plenty of natural light from the gardens. 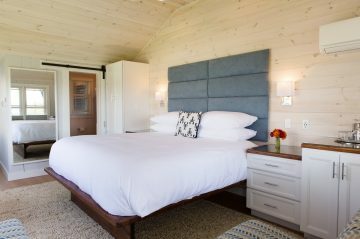 Room 8 is a gem on the lower level with a large private sundeck, covered porch, king-size bed, and large bathroom. 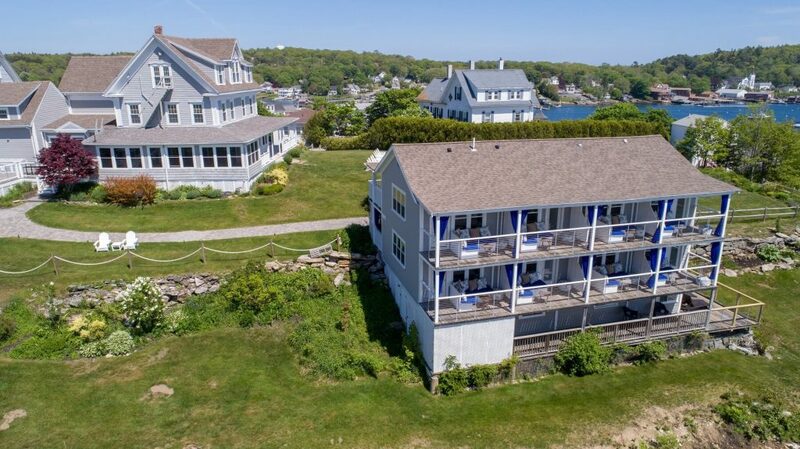 It’s big on privacy and space with a beautiful view of the historic Boothbay Boatyard. 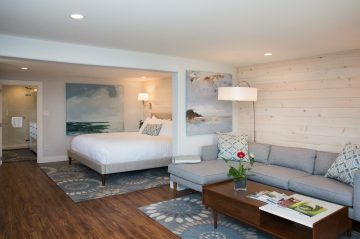 Scroll down to explore the Windward Guest House and find your ideal retreat!